Get to know Pro Cargo! We understand that a company is only as good as its people. Our objective, for the ProCargo USA team, is to gather together individuals who strive for excellence in their everyday activities. We endeavor to provide all “teammates” a work environment that encourages openness, creativity, and personal and professional development opportunities for achievement. We want our company to be a win/win situation for all. To be the best in our industry by continuing to improve our level of service. We commit ourselves to excellence for our customers and partners through continuous improvement of our service, technology, and communication. Pudlo was met with the words, “we wish you would stay, but we understand what you’re trying to do. We will support you, and if it doesn’t work out you can have your job back”. Consequently, ProCargo was founded in Houston, Texas on 02 May 1988; its first client on day one was “Halliburton Services – Vann Division”. 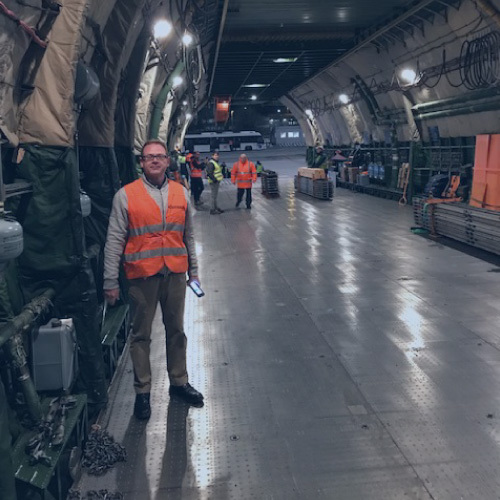 From his early leap of faith, Pudlo never looked back, striving to provide the service he expected from his freight forwarders while at Halliburton, ie “just treat the freight like it’s your own”. The careful attention to detail required to move Halliburton’s oilfield explosives, soon came to be appreciated in the general market, as clients and agency partners began to align themselves with ProCargo. Today ProCargo’s network spans the globe, enabling them to provide worldwide transportation services and solutions.